JUST LISTED! Stunning Leawood Entertainer's Dream Home - Shannon Doser Group and Assoc. 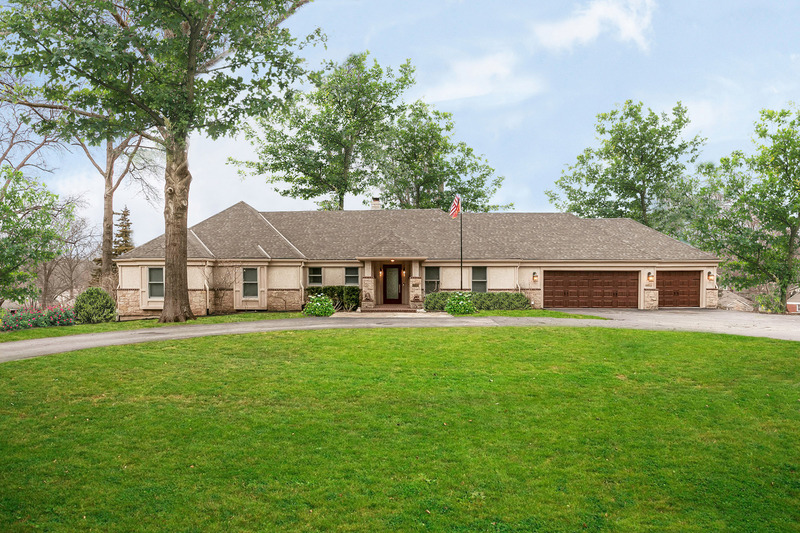 Welcome home to 9648 Lee Boulevard, a beautifully expanded Leawood ranch home with a circle drive, NEW 50-year composition roof, and an open floor plan, sited on a large half acre Leawood Estates lot. There are so many updates and unique features to love in this home, including the whole interior being freshly painted, the large dining room featuring a built-in 220 gallon salt water fish tank, private master retreat with luxe bath with heated floors, lower level with stone water fountain, wet bar and media room, a 5-car garage, two new 50-gallon water heaters, three fireplaces, and a gorgeous kitchen with double ovens, wine fridge, heated floors, butler’s pantry and large walk-in pantry. The gorgeous, updated, and fully equipped kitchen is sure to please! Highlights include a vaulted ceiling, granite countertops, all new Kitchenaid black stainless steel appliances, heated floors, floor-to-ceiling cabinetry with interior lighting, a butler’s wet bar, island with eating bar, and huge walk-in pantry. Appliances include the refrigerator with dispensers, double convection wall ovens, NewAir Red & White wine cooler, gas cooktop with pot filler, Thermadore raising vent, built-in GE Profile microwave, and disposal. The hearth family room boasts a wall of stacked windows, vaulted ceiling with lighted fan, the natural stone flooring, and a cozy gas fireplace framed by handsome built-ins. Continue to the office, located off the living room, highlighting gorgeous built-ins, wood wainscoting, and the third fireplace. The office opens to the master suite’s sitting room with vaulted ceiling, atrium door to the deck, and lighted fan. The elegant master suite also includes a wall of windows and a private bath with heated natural stone flooring, double vanity, luxurious whirlpool tub, and stunning frameless glass and tile shower with double shower heads and rain fixtures. You will also love the huge walk-in closet, complete with abundant built-ins.